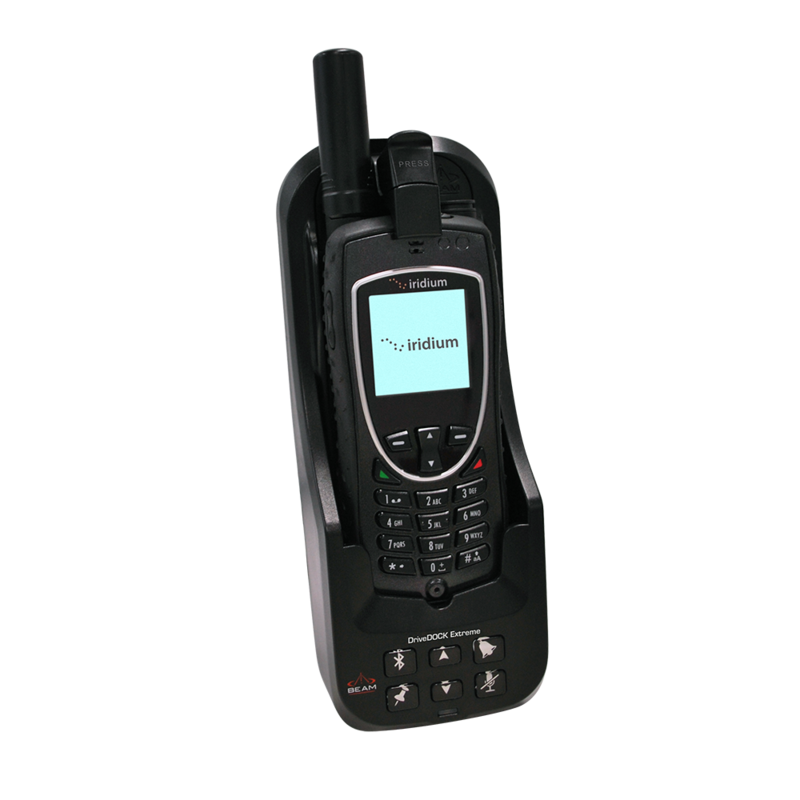 The DriveDOCK Extreme (9575) hands-free docking station from Beam provides a high quality in-vehicle installation for the Iridium Extreme satellite phone, with built-in echo cancelling and full duplex technologies to ensure superior voice quality, and hands-free or privacy calling in a vehicle or aircraft*. 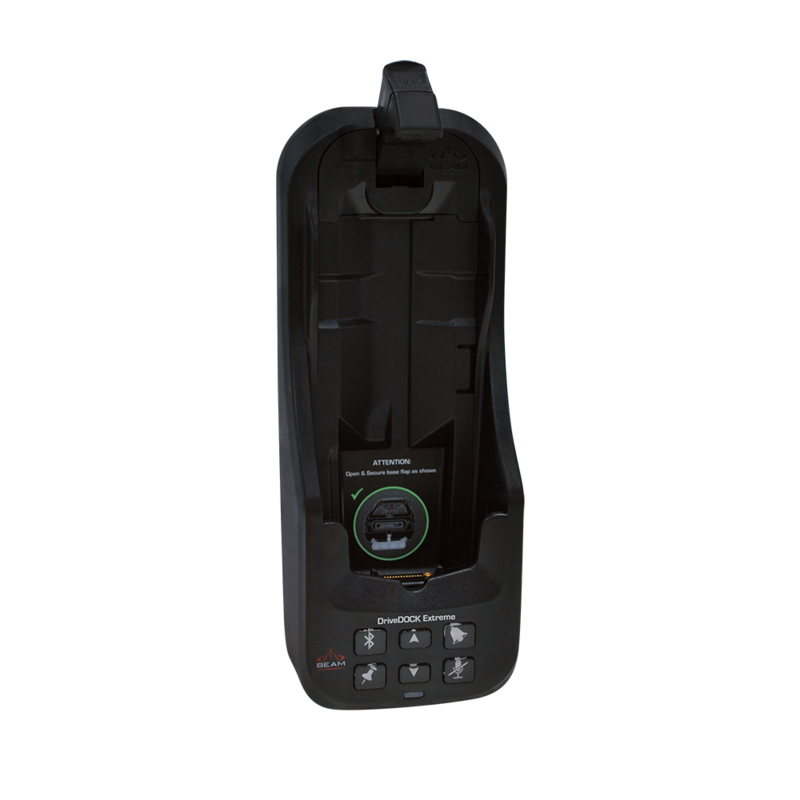 The DriveDOCK Extreme is ideal for professional or personal use in a vehicle, vessel or aircraft, including a recreational vehicle (RV), truck, bus, small aircraft, or boat. In addition to charging the Iridium Extreme satellite phone the DriveDOCK Extreme features integrated antenna, data and power connections which makes it easy to keep all antenna cables and power permanently connected and ready for use. 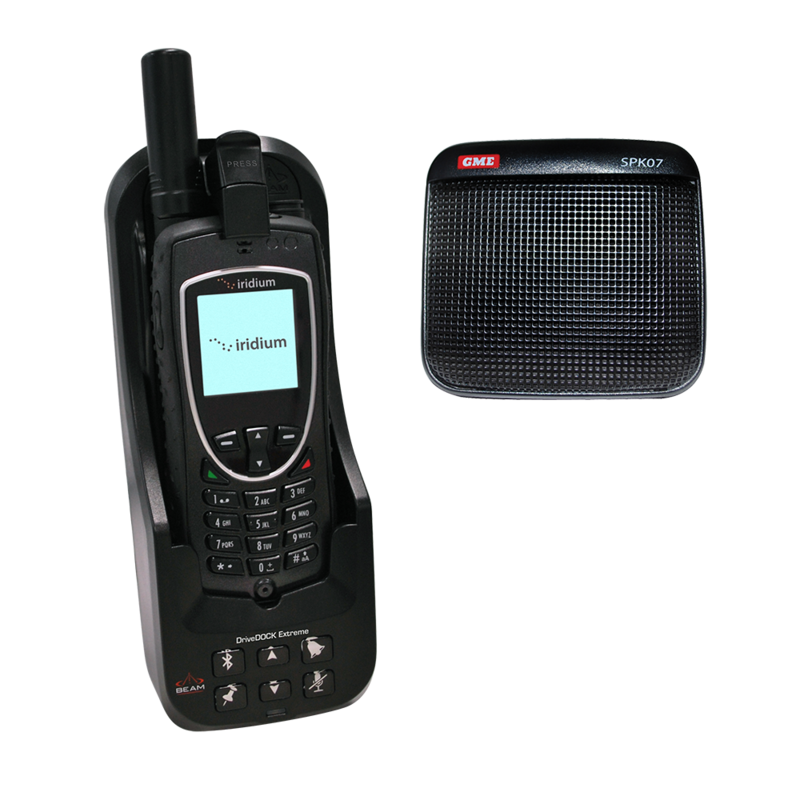 For added convenience, two great accessories to consider are the optional Beam Privacy Handset or the Intelligent Handset that replicates the full functionality of the Iridium Extreme handset in another location. 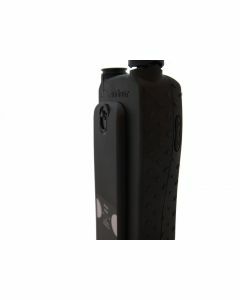 The DriveDOCK Extreme communicates over the Iridium satellite network, the only network offering 100% communications coverage over Earth’s landmasses, waterways and airways with no coverage gaps. *Note: Independent aeronautical certification must be obtained prior to installation.